The Piazza del Popolo, Rome', Italy, c1880. 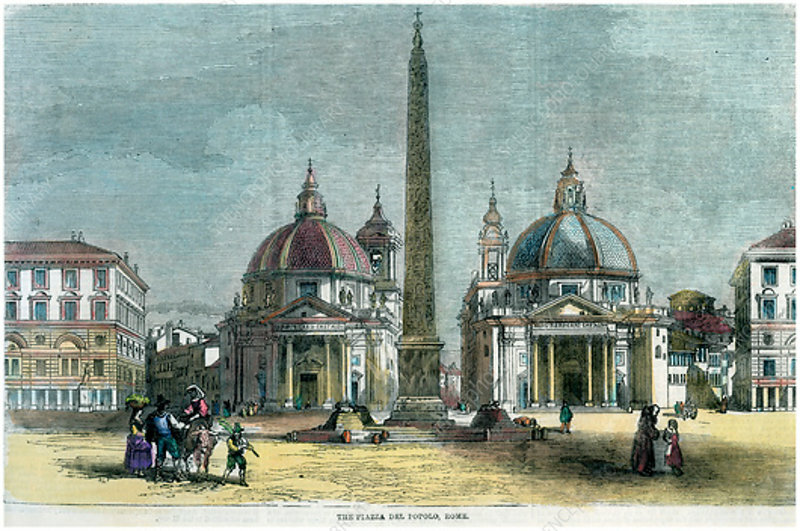 The Piazza del Popolo was laid out between 1811 and 1822 by Giuseppe Valadier. This view of the square shows the Ancient Egyptian obelisk, which dates from the reign of Rameses II, and the 'twin' churches of Santa Maria in Montesanto and Santa Maria dei Miracoli, built in 1662-1675 and 1675-1679 respectively.